We are a venue supply company for sports and concert venues, stadiums and arenas with crowd control barricades, portable signs, traffic cones, retractable stanchions and outdoor cooling fans. Large venues and arenas handle large volumes of people in a short amount of time. Crowd management is extremely important at sports and concert venues. Keeping the the flow of pedestrian traffic moving in an organized manor means everyone stays safe and problems are less likely to occur. Retractable stanchions are the next best thing to a fixed railing system. Portable and configurable, the can condense, organize and direct large volumes of people reducing chaos and line jumping. Retractable stanchions also keep fans, guests and visitors out of restricted areas. Custom printed belts and colored belts and stanchions warn people of danger or to use caution in certain areas. Crowd control barricades, aka, pedestrian barricades are an important piece of equipment at sports and concerts venues. As a venue supply company, we can provide you with 6′ or 8′ galvanized barricades. Powder coated crowd control barricades are also available. Barricade covers can also be ordered to match your home teams colors or you can also display your team logo. Keeping the entertainers, players and fans cool isn’t to be taken lightly. 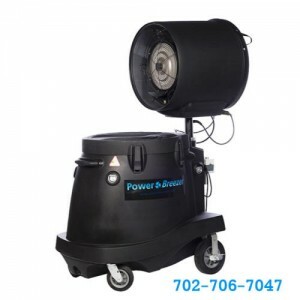 Our evaporative cooling fans can reduce the ambient temperature by about 27º – 33º F. We have multiple models of evaporative cooling fans and misting fans to choose from including all Port A Cool, Cool Space, Power Breezer and Breezer Oasys models of outdoor cooling fans. 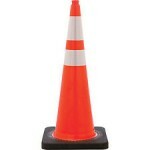 Our venue supply doesn’t stop inside, we have traffic cones, outdoor stanchions, line barriers, delineators, portable signs and even traffic wands so you can kep the traffic flowing to and from your events.